I'm not making much of anything this weekend. We don't have A/C so I avoid turning on the oven or even the stove if I can. 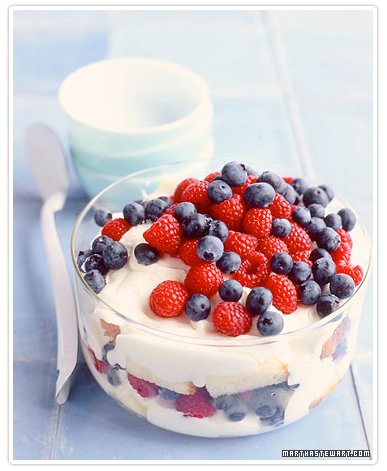 That trifle does look fabulous and so refreshing. We are just doing standard BBQ food. We bought some fun candy treats to snack on while we wait for fireworks too. I need some good summer (aka non-oven/stove) recipes too. Sorry to not be much help! Have fun this weekend! 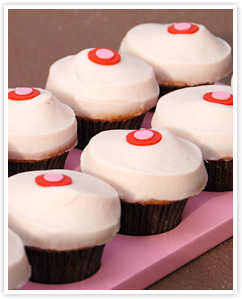 The Martha Stewart cupcakes are my ultimate favorites. I miss baking from catch, I've been cheating lately. Have fun, everything sounds amazing! They look delicious! Wish I could be there. The 4th of July is my favorite holiday!! P.S. We got a Canon T1i. Absolutely love it. my favorite summer snack is frozen blueberries! they're SO good! i hope you had a fun 4th!